Scottish Water has started work to deliver a £5 million replacement Water Treatment Works, which will secure the future of Lairg’s water supply. Work will take place at the existing Savalbeg site, around 1 mile north-east of the village and will use the established water supply from Loch Beannach, around 2.5 miles further north. 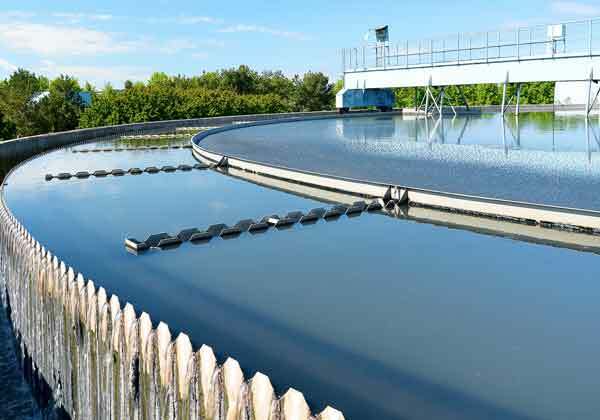 The utility’s delivery alliance partner Efficient Service Delivery (ESD) has been developing proposals for a new Water Treatment Works (WTW) to serve around 1100 customers in and around Lairg, working in partnership with Ross-shire Engineering. The new Water Treatment Works will use a modular construction approach that has been developed via a long term partnership between Scottish Water and Ross-shire Engineering for use in rural communities. The WTW will be assembled and tested at Ross-shire Engineering’s specialist factory in Muir of Ord, before being separated into 3 large modules, which will be delivered and installed at their long term home. The project is expected to be completed in autumn 2020. 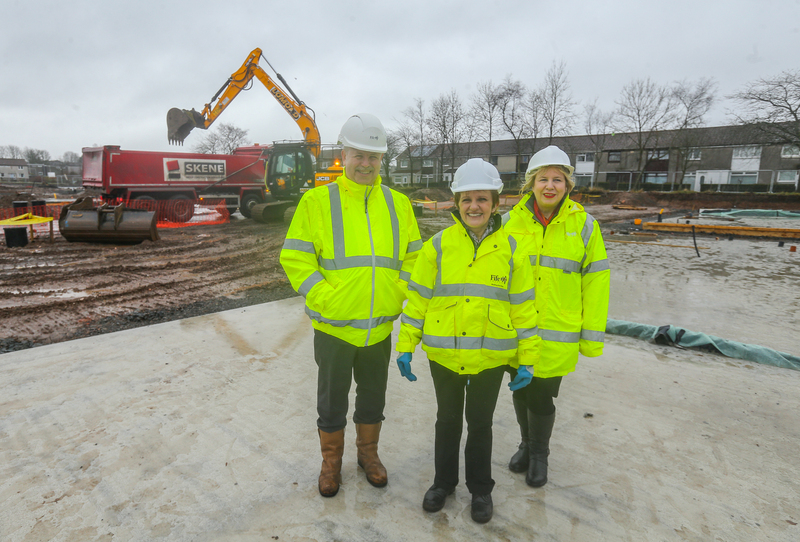 Work has begun on a development of 78 new council homes at the Cullen (Tanshall) site in Glenrothes. The project is part of Fife Council’s wider ambitious Affordable Housing Programme to increase the number of affordable homes across Fife. This latest development, will be made up of thirteen two, three and four bedroomed bungalows and 63 houses, including 16 for specific needs families with associated parking. The houses will be built to the highest standards of energy efficiency. The council has committed £40 million over the Programme and plans to invest a further £74m to meet future housing needs. This development, which represents an investment of £11.4m and is expected to be completed in 2022. Church Street, which opened to 500 staff last May, was awarded Regeneration Project of the Year at the event. 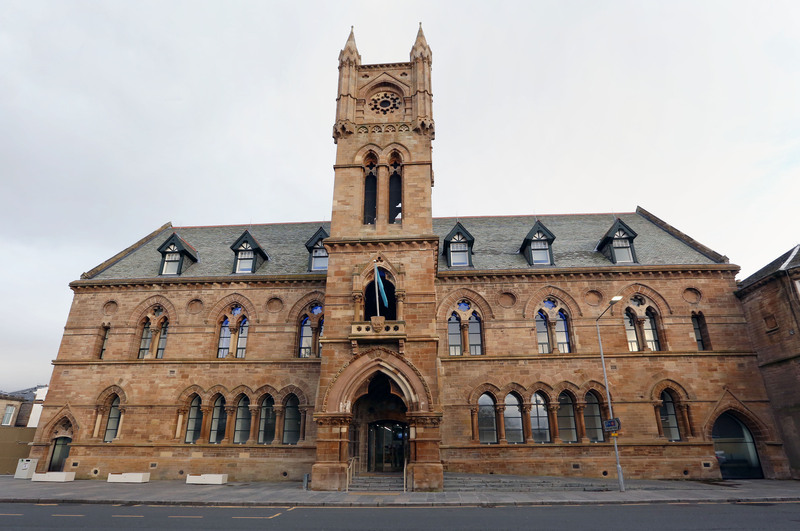 Work at the site transformed the William Leiper-designed, Grade A listed façade, from the former Dumbarton Academy building, by adding modern and efficient offices at the back. It was the result of a conservation project supported by Historic Environment Scotland to ensure Dumbarton’s heritage was preserved. Since opening, the state-of-the-art building has improved access to services for residents, brought economic benefits to businesses in the town and brought savings to the council in the region of £400,000 per year. Church Street has also been shortlisted for two more awards, having been named as finalist in both the Community Benefit and Regeneration categories at the RICS awards, taking place in May. If the building wins in either of the two categories, it will be considered for the regional Project of the Year title. This is only awarded to a scheme that can demonstrate outstanding best practice and an exemplary commitment to adding value to its local area. Work has started as part of a significant investment by Scottish Water to deliver an improved water supply for Gobhaig and Huisinis in North Harris. Comhairle nan Eilean Siar has granted planning consent for a new Water Treatment Works (WTW) and water storage tank to serve customers in the two communities. Taken together with 3.7 miles of new water main, the total investment value of the project is expected to be around £4.5 million. The first element of the work which has started on site is the installation of the new water mains, which is being carried out by civil engineering contractor Duncan Mackay and Sons. Scottish Water’s main contractor Ross-shire Engineering is making final preparations to start work on site for the new WTW and storage tank. The WTW building itself is being built and partially commissioned off-site at Ross-shire Engineering’s specialist factory in Muir of Ord, before delivery to its long term home later in the year.